The year 2014 ended finally. But not before letting the cops apprehend at least 117657 drunken drivers on our roads during New Year’s Eve. Like any other year, 2014 was also full of events, surprises, hope, agony, joy, frustration and a bit of Rahul Gandhi and Bilawal Bhutto. Consolidating the events of an entire year in a single post is too improbable a task but then, Sanjay Jha is also trying to appear intelligent on primetime. Comparing his herculean efforts, mine appear pedestrian in comparison. 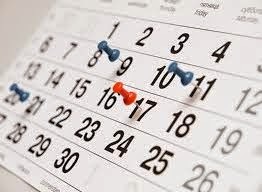 Hence the confidence to start a new series – “Events Those Caught Our Eyes: Year”. As you might have guessed, the ‘Year’ would change for every year. I am not sure if justice is done to every noteworthy event or not but nonetheless my list of important/interesting/puke worthy events of 2014 follows. No specific order whatsoever is maintained. BJP’s Win In General Elections: BJP achieved the unachievable. Or is it Narendra Modi? Anyway, as per Nidhi Razdan’s language, the “larger picture” is far bigger than a mere electoral win of BJP. It is bigger because people like Barkha Dutt and many more tried their best to keep on evolving Rahul Gandhi while this ‘Chaiwala’ from Gujarat ran away with the accolades, leaving the evolution process cramped in the middle. 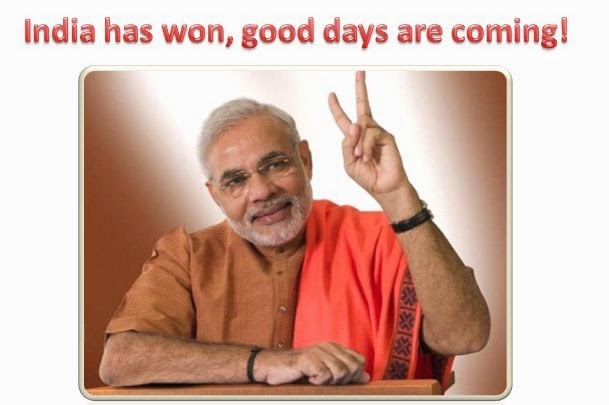 Not only that, the ‘Chaiwala’ also showed how people at the end of the day, prefer governance over “Rent-A-Scam” outfits and their “Scam-A-Day” proponents. The event resonates with hope, aspiration and belief; the belief that, in one’s poverty, the state is at equal fault as the escape velocity of Jupiter. The event lead to aspirations that, one doesn’t always have to wait for someone to pee to have water in his paddy filed since there are more effective ways of water management. More off, the event symbolizes the coming of a term ‘appeasement’ and how the nonsense around the word could be pealed by the voters who matters most. The event is nothing short of historic because, it is the day when a nation rose from its slumber to shut out fraudulent mimic artists, perhaps forever. The propaganda which was started 10 years back by the pseudo seculars of this country, ably supported by the subverted state machinery, culminated on this day when the truth finally emerged victorious over lies, evil ideology and Digvijay Singh. More than BJP and Narendra Modi, it is the people of India who defeated the evil engulfing this nation for some time. Ghar Wapsi Saga: Hypocrisy like truth has got a very peculiar way of coming out in open. 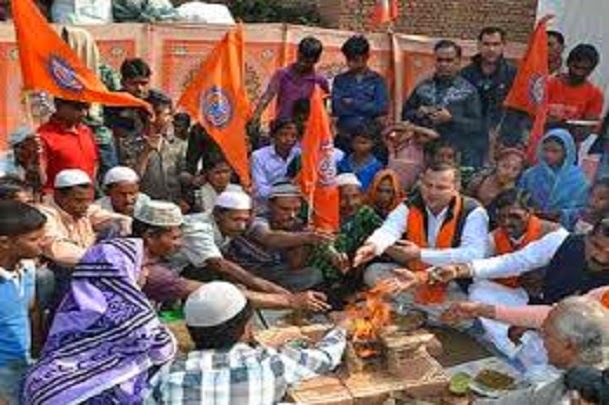 For those who don’t know what Ghar Wapsi is – it is the term coined to identify the re-conversion that fringe Hindu groups are doing to migrate Muslims and Christians to Hindu folds. Coming back to the hypocrisy part. For ages, in India, various Christian groups are busy converting poor and tribal to Christianity as if they are dealing with commodities. No one was objecting till now and for obvious reasons. But all hell broke loose when the wind started to flow in the reverse direction. The same people who were busy appeasing or looting suddenly got their new lease of life and started chanting the secularism Mantra. The Mantra reverberated so much that it ended up washing away an entire parliament session. Accusations and high morality started pouring left-right-and-center. As expected the pious media also joined the secularists in their massive humanitarian mission of exposing Narendra Modi. But none care to answer, where the fault line is. Hypocrites didn’t care to explain how Christians converting in lakhs is perfectly OK while a handful of Muslims converted to Hinduism is the subversion of our constitution. Well, they have their reasons, they say so. The secularists are seen misfiring because the converted claimed, they were promised with Aadhar and Ration cards for their Ghar Wapsi acts. Well, the tribal by some means have enlightened themselves with the enigmatic qualities of Jesus Christ to convert to Christianity by their own, it seems. But that is the beauty of Indian version of secularism. People with minimal or no moral preach us morality as if they are the direct disciples of the holiness, the Dalai Lama. Pseudo Secularism has got lots of power, let me tell you. 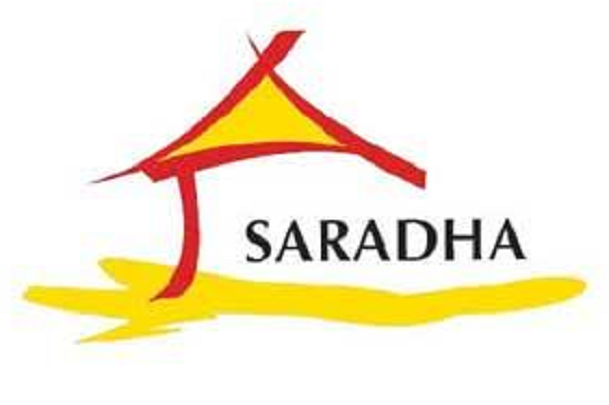 Saradha Chit Fund Spectacle: I always say – If Arvind Kejriwal can get hold of a time machine, he can see his future in Mamata Banarjee. Both of them are full of street smartness and zero governance qualities. But surprisingly enough, both of them have the self-belief of being a law into themselves. There is another striking similarity, and that is the similarity of having a lot of sidekicks around to shout at all inappropriate places. If AK has a Prashant Bhushan then Mamata Didi has one Derek O’Brien to her credit. All that Didi did as per her promise of ‘Porivarton’ is to transfer Bengal into a hellhole at an alarming rapidity. Though there was a thin presence of law-and-order during left’s time, Didi made sure the complete absence of the same, once she assumed power. I assure you on behalf of the people of Bengal – choosing between the devil and the deep sea can’t get tougher than this. Like Didi, many in her party hallucinated themselves that the state is their personal property. The hallucination followed by abject disrespect to everything that is related to democracy, including the voters. Cohorts of Didi got the license to play with everything in exchange of a promise that they will buy Didi’s paintings by paying crores to each. No wonder why people like Leonardo Da Vinci and Vincent Van Gough are turning violently in their graves. And, as promised, Didi remained oblivious to the facts that her painting lovers are siphoning tons of money from poor people in the name of Saradha Chit Fund. Then a part of that ill gotten money was lorded across the border to Bangladesh for structured Jehadi activity. But the lid was destined to blow off and that precisely what happened. Finally the law caught up with the frauds and Didi’s left and right hand men were seen parading to the jail with grace. But Didi is far from learning anything. Her sidekicks have only gone shriller with their voices or else the ground situation in Bengal is same as it was couple of years back. Hope Didi’s marching order to jail might bring some much needed change to the state but for the time being, Didi is firefighting hard to cover all her incompetency, either by her appeasement or blatant shamelessness. Kashmir Le Awenge Legend: Bilawal Bhutto is a big causality to Pakistan. The only thing he knows is how to talk loud without making any sense. One fine morning the kid-of-disgrace promised his citizens that he will bring back Kashmir, without leaving an inch to India. This is commendable, knowing that their entire army was humiliated in the hands of their Indian counterparts, at least three times in last sixty years. But Bilawal Bhutto knows how to make zero sense while talking, like our very own Krishnamachari Srikanth or may be Rahul Gandhi. Since no one has heard Bilawal on this for last six months, we can safely assume he is still busy formulating his plans on how to capture Kashmir in its entirety. 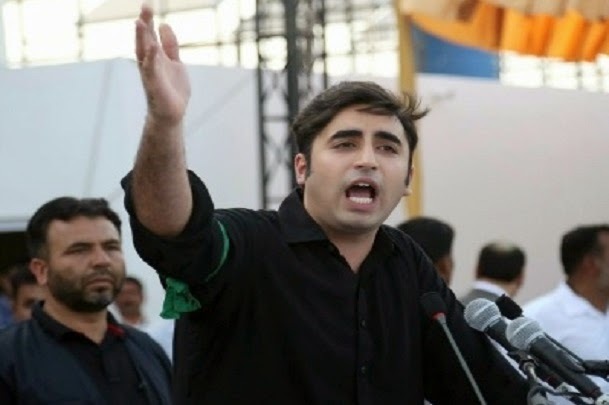 But, do you know what is more hilarious in Bilawala Bhutto’s outburst? Our equally clueless media ably thought Bilawal’s jibes worthy enough primetime news material. For records NDTV ran his rants for straight four days as if Bilawal Bhutto a Martin Luther King in the making. As a habit, Ms. Barkha Dutt fell just short of taking a full-fledged interview of Bilawal Bhutto. Thanks to the euphoric outburst that Bilawal’s rants brought in our political discourse, or else Ms. Dutt was almost committed to book her flight tickets to Lahore. 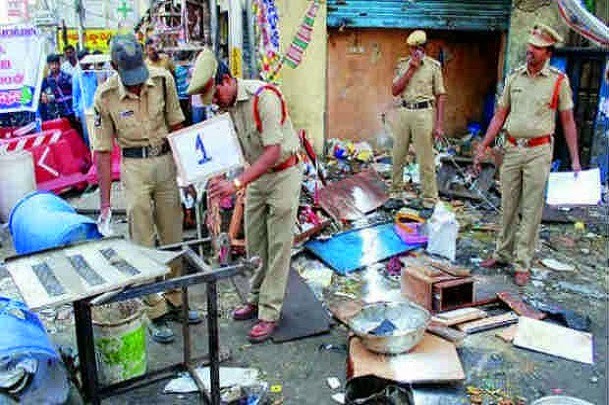 Burdwan Magic Blasts: This event relates very closely to both Mamata Banarajee and Saradha scam but fundamentally very different. One fine morning, we all woke up to the news of a blast in Burdwan, West Bengal. The grossly subverted state police did their best to cover the track of Jehadis involved by terming the blast as the handiwork of faulty gas cylinders. But the plan winded up before it could materialize as one of the Jehadni (lady Jehadi) ran around funny, all the while brandishing a gun. NIA took charge immediately and sooner skeletons started to tumble out of every closet. The first causality was a TMC leader who was sheltering the nefarious elements in his home. Though he claimed to have rented the premises, your doubts on the legendary TMC leader is as good as mine. From one to another and then the third one – the mystery unfolded like an Ekta Kapoor serial, there by exposing all the culprits in the chain. 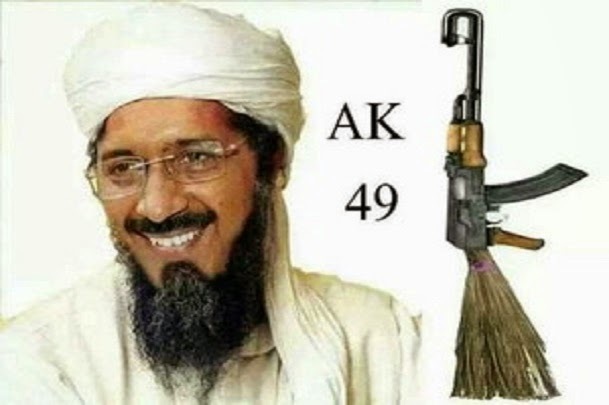 Most interesting link was the connection of Jehadi funding with the ill gotten money of Saradha Chit Fund. Sidekicks were again activated to save few skins but destiny has scripted an entirely different story. In idiom terms, the Burdwan blast is nothing short of the proverbial “Icing On The Cake” for TMC, post the Saradha spectacle. Now the situation has turned so grim for many in TMC that the party has decided to knock the doors of the apex court, accusing of a gross misuse of CBI against the pious holy souls of TMC. A ‘Porivarton’; definitely!! India’s Win Over Pakistan In Asiad Hockey: Our sports bodies are full with serial offenders. While our Hockey authorities are in a bad habit of screwing up the game, our brave players are equally at task to prove the idiots wrong time-and-again. Asiad Gold is just another example of how determination scores over incompetency. In a game of nerves we matted our arch rival Pakistan to win the Gold, thanks to the brilliance of Sreejesh. I always say this when we friends have a discussion on Hockey – a good player will win you matches but a good goalkeeper will win you tournaments and Sreejesh didn’t prove me wrong. There is another deplorable moment in world Hockey is when, later in the year, Pakistani players turned zombies after defeating us in the champion’s trophy semifinal. I thought of adding that as a separate event but then, did we expect anything better from highly uncivilized people? All-in-all, we played like champions throughout the tournament and emerged as the deserving winners. Though the win against the deplorable Pakistan side is noteworthy, the win in semifinal against the Koreans on their home turf is no less an achievement. Hope the good show continues post Terry Walsh’s unfortunate exit from Indian Hockey scenes. 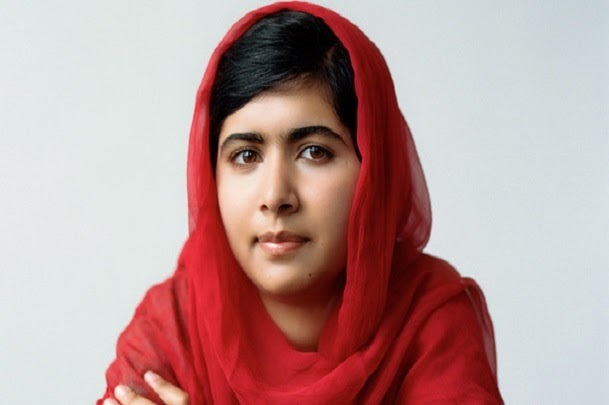 Malala Yousufzai’s Nobel Peace Prize: I was told Nobel Peace prize is given to individuals/groups for their good work. But this year, the prize was given to a teenager with a hope that she will do all the required good works in future. This Kailash Satyarthi chap is no better, though his achievements are far better than Malala’s, if not good enough for a Nobel peace. Malala was never a crusader of peace or girl child education, if you tend to believe these Nobel Prize touts or our secular media. She was just the lucky girl who got hit by the bullet of the Talibanis while going to school in a group. The west got a readymade example to trounce the Mullahs of their crimes against humanity. There she becomes larger than life, almost overnight. No achievement, no struggle, no work for society whatsoever. Then the crusader was housed in London, enjoying her life in a Bungalow sprawling across 3 acres of land. As they say, she is enjoying the dream life of many Pakistanis – the life of a NRP (Nonresident Pakistani) while her friends, for whom she is touted to have fought with the odds, are spending their lives in the same rot hell. But ask the girl to over act like Tushar Kapoor, she would jump out of her Burqa on any given chance and even ask the PM of both Pakistan and India to attend the farce during Nobel award ceremony. And our secular media will go gaga over the confidence, courage and everything good that you normally associate with Malcom X, of this girl. “Don’t send us weapons, send us books” – OK we will send books henceforth. Manishankar Aiyer’s Chaiwala Comment: I don’t call him Alcoholic Aiyer without a reason. Both sycophancy and alcoholism blurs your sensibility and Mani Aiyer is a perfect example of this deadly symptom. When he delivered this highly insinuating and deplorable statement, I had predicted at least a 20 seat loss for Congress because of this one account alone. And, I am sure, I have been optimistic all this while. This particular gibberish of Mr. Aiyer eventually made Congress lose at least 50 seats, if not more. But Aiyer is a compulsive abuser. For the heck of it, the great doormat of Congress was always seen flunking with his words every now-and-then. The first thing one remembers about Mr. Aiyer is his poisonous words, devoid of any articulation and logic. The ex-bureaucrat who happily preferred to be the personal driver of late Rajiv Gandhi, along with Kapil Sibal, has his upbringing in the bi lanes of Delhi, where it seems, the parents teach their wards on how to be perfect ruffians. 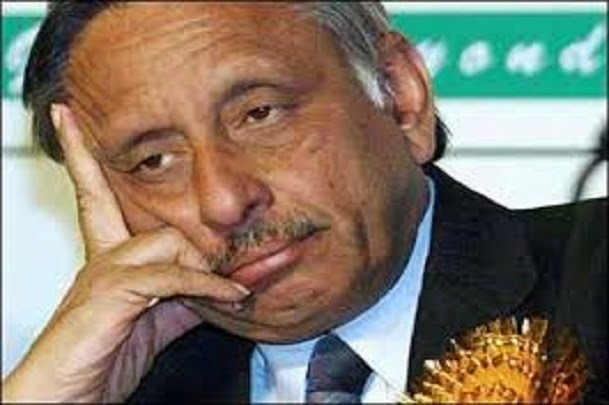 Or else, what can articulate the reasons for Mr. Aiyer to have such a potent tongue? Any man sane at his top layer would be far away from the uncivilized lanes that Mr. Aiyer regularly roams around. But then, that is the trademark of any sycophant from the Congress stable. If one gets dismayed listening to Mr. Aiyer then, he/she is not far from getting himself entertained with the bile of another Congressman called Digvijay Singh. I at times even wonder if Congress is the grooming ground of all the filthy mouths of India. Arvind Kejriwal’s Bhagoda Act: He is a common man and he doesn’t have any ‘Auqat’. That is perhaps why he ran away from the scene of responsibility. He always does this. AK could easily be the only man in the world, who never finished anything he started. I am not sure if that is to do something with the attitude or it is a disease, but nevertheless, AK was always seen running from one thing or the other. He first ran away from his post of revenue collector; then he ran away from IAC stage; finally he made a mega run from the Delhi CM’s post. But the last of his running acts assume critical acclamation and it certainly deserves some analysis. First he claimed to change the face of Delhi, if given a chance. People, more-or-less agreed. He became the CM overnight. But little did anyone thought that changing the face of Delhi means, going for some agitation in front of Rail Bhawan. Then one night something bites AK at the wrong place. The Milkha Singh of our politics suddenly thought himself to be thousands time larger than what he was. Taking some funny excuse, the running man ran away from Delhi to Varanasi to fight against Narendra Modi. Strangely enough, the entire secular media started backing him as if AK is the God’s messenger, only here to eliminate the bad soul called Modi. But people turned out wise and thrashed AK at unconvincing places. There gone AK and so as his blue WagaonR for good. Knowing that he is heading nowhere, the same AK, now is seen pleading the very Delhi voters, whom he ditched, to give him another chance. You call this shamelessness, don’t you? But great ‘Bhagaodagiri’ comes with great shamelessness and AK is personifying the proverb. We can only wait till mid of February for the voters to deal with this dual person, once-and-for-all. 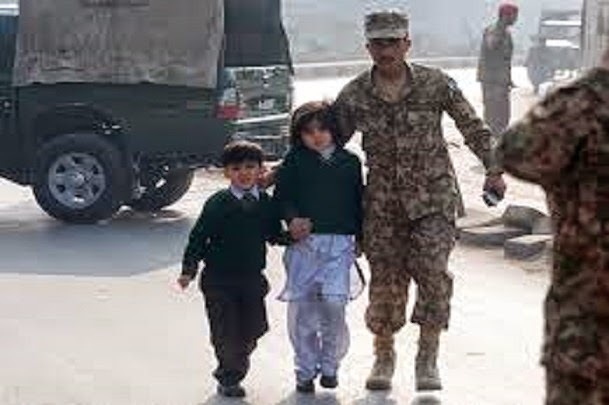 Peshawar School Attack: It was the worst kind of perpetration done against humanity in the name of religion. I for one am sure that any religion, including Islam, doesn’t preach killing innocent kids for fun. Kids who aren’t aware of hate are subjected to such hate filled violence that the world went numb for days. And the irony, the devils that mascaraed innocents, shamelessly identify themselves as the messenger of God. Which God? May be, the God of destruction and devastation. Who to blame holds no meaning anymore because the kids who lost their lives so barbarically aren’t part of that ‘WHO’ brigade. They deserved good education and tender care but instead, they were sprayed with bullets. Is Pakistan learning? Did the powers that be in Pakistan realize; it is their kids who ultimately paid for the sins of their elders? I guess not or else they wouldn’t still be furnishing the “Good Terrorist – Bad Terrorist” nonsense. Had they learned even the minimum, they won’t have allowed Laqvi go scot free. They did that and for that alone, one shouldn’t hesitate in accusing the power circle in Pakistan guilty of killing their own kids. They still haven’t realized that their abject hate for anything sane has turned them into a nation full of chaos and violence. No one is interested anymore to listen to their wolf cry on how they are the most affected with terrorism. No one will because the problems of Pakistan are homegrown. They hobnob with poisonous Cobras and expect the reptiles won’t bite their children. Wishful thinking definitely has a new meaning now. Good collection, however, I suggest you include now infamous "Raamzaade-Haraamzaade" and boy, how can you exclude iconic "Yale Degree".